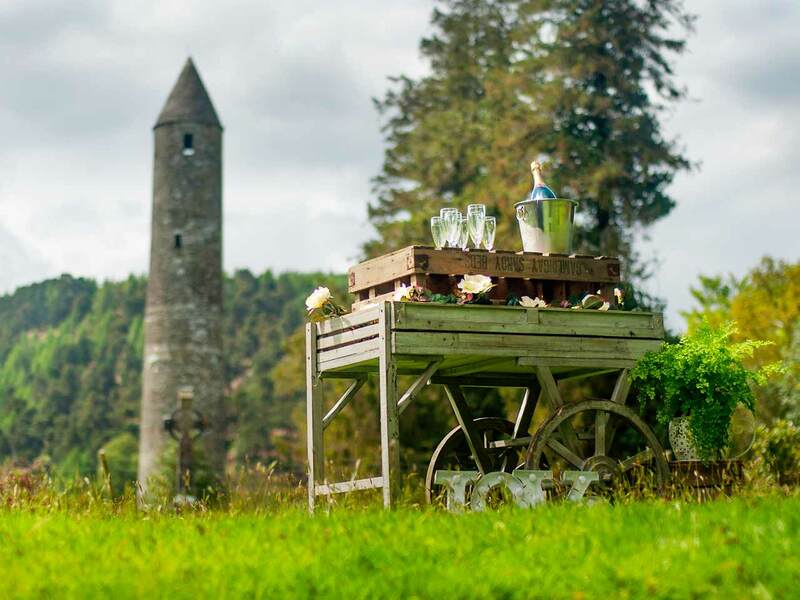 Uniquely located at the centre of the Glendalough valley, in Wicklow, otherwise known as the, “Garden of Ireland”, the backdrop to your big day could be filled with natures own greenery, stone walls, mature forests and tumbling waters from the Wicklow Hills. The 6th century monastic site a spiritual backdrop to your very spacial day. The Glendalough Hotel offers our guests delicious food, excellent views and quality service in what is considered to be Ireland’s most romantic Valley. The day you get married is a unique occasion in your life, at The Glendalough Hotel we understand this and place it at the heart of everything we do to make your day a memorable occasion. The Glendalough Suite overlooks the Glendasan river with sweeping views of the Derrybawn mountain. 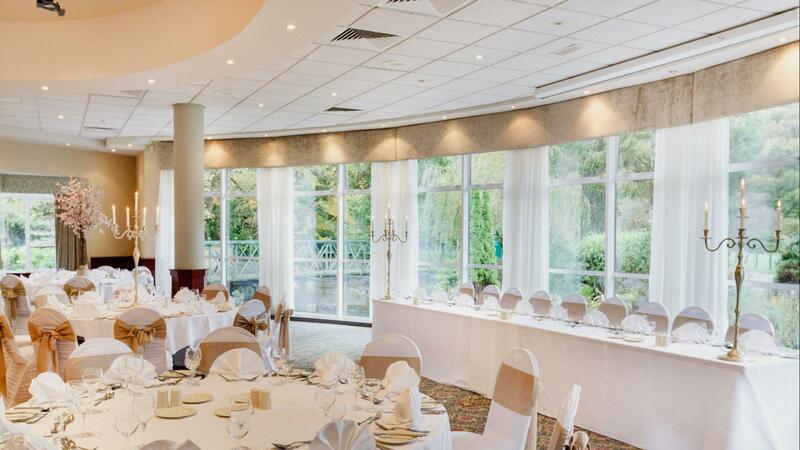 The mainThe Glendalough Suite has a capacity of up to 150 guests for weddings in various seating styles, have a look through our gallery and see the breathtaking backdrop you could have for your wedding day. For those who want to say, "I do" in the open air, we are delighted to tell you that we can host a ceremony in our lower garden with the Mountains of wicklow surrounding your guests. Now that really is something they will never forget. 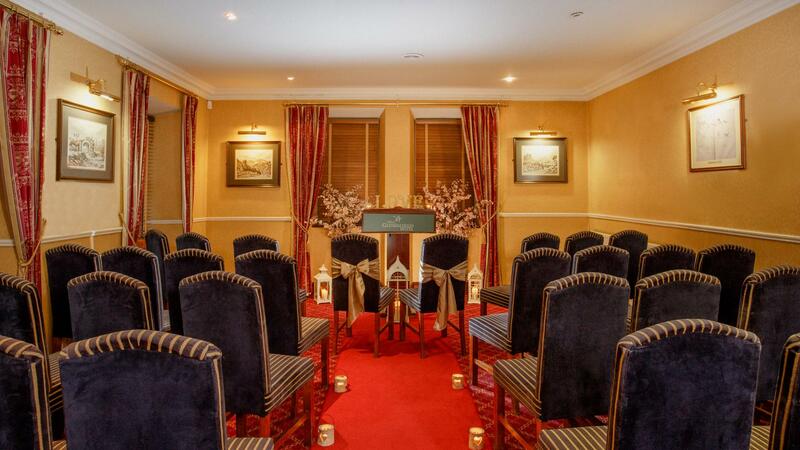 Inside the hotel we have two traditional rooms in the original hotel building where we are delighted to host commitment cermonies and civil partnerships. The original Hotel's former Coffee Lounge or Residents Lounge both have a HSE license and are the perfect backdrop for an intimate ceremony. For those who want something truely unique, our Upper Garden has it's own stairway leading to a magnficent green area with the Round Towner and Monastic site as your backdrop. There is nowhere else like it and you won't need to travel to get stunning photoes. We have the most amazing setting for a blessing, drinks reception and those all important pictures right here. Have a look through our gallery to get an insight into where you could spend your day, or even better if you contact the team we would be happy to show you around the hotel and let you see first hand how beautiful our location really is. Contact us to arrange an appointment and let us give you a tour of the hotel and it's facilities.